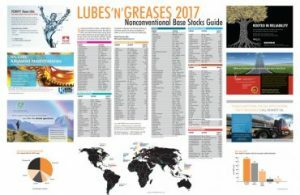 Lubes’n’Greases offers three exclusive wall charts that list details of plants that produce base stocks. They offer a quick and easy reference of companies, locations, products and capacities. 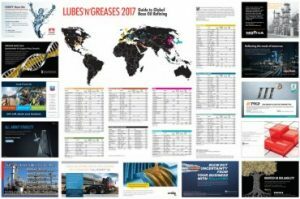 You will see them displayed in offices throughout the global lubricants industry. Lists base oil refineries and rerefineries by company, location, product, and capacity. Lists manufacturers of PAO, PIO, PAG, PIB, esters, silicones, phosphate esters, GTL, and API Group III stocks. 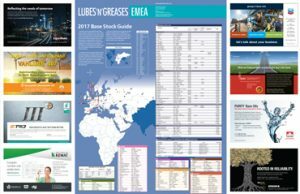 Covers mineral oil and nonconventional base stock manufacturers in this fast-changing area.